With the frosty mornings, dark evenings & only 53 days until the big man arrives (say what?!) we are officially getting into the Christmas spirit! Or trying to at least! But it is definitely too early for Christmas songs. 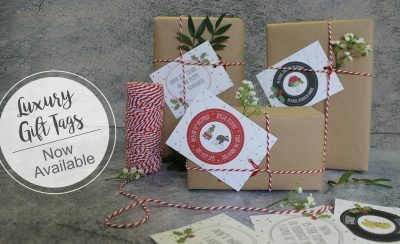 If you are one of those really annoying, super efficient people who have finished their Christmas shopping & are planning on getting it all wrapped up, you NEED to know about out little extras which make your Christmas wrapping a breeze!